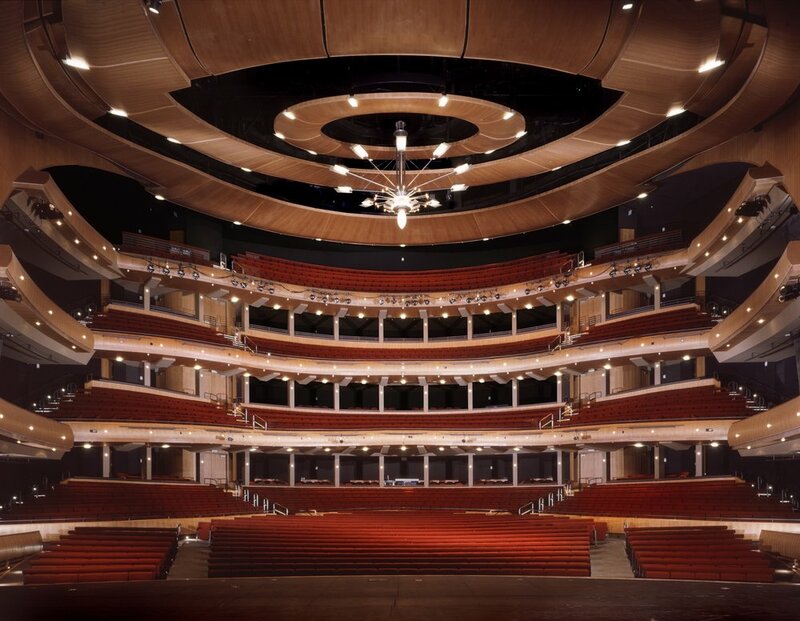 With the opening of the Ellie Caulkins Opera House in September 2005, Denver became home to one of the finest opera venues in the world. Formerly called the Denver Municipal Auditorium Theater, the historic building underwent an $86 million renovation, designed to provide the city with a state-of-the-art facility for opera, ballet and other unamplified live performances. In designing the acoustics for the new venue, Robert F. Mahoney & Associates and the project’s lead architectural firm, Semple Brown Design, turned to the classical lyric opera houses in Europe for inspiration. Working together, the two firms carefully chose surface materials and a theater configuration that includes shallow balconies and side boxes to produce outstanding acoustics for opera, musicals, the spoken word and concerts of all kinds. Special attention was also paid to excluding noise from the building’s mechanical systems and from city activity outside the opera house. The original Auditorium Theater was built in 1907 to hold the Democratic National Convention. Since then, the building has hosted nearly every form of entertainment, from grand operas to boxing matches, and has provided a stage for such luminaries as Enrico Caruso, Will Rogers, Benny Goodman, Bob Hope and Luciano Pavarotti. The renovation called for removing all existing interior structures within the building and, working within the confines of the nationally registered landmark’s exterior walls, creatinga 2,280-seat proscenium theater. The building—named after Ellie Caulkins, Denver’s “First Lady of Opera”—is the home of Opera Colorado and the Colorado Ballet.